Subject: Are you certain your worldview is worth your trust? In a June 2013 Gallup Poll, Americans were asked the question “how much trust do you place in several different institutions?” The categories of responses they could give were 1) a great deal, 2) quite a lot, 3) some, 4) very little trust, and 5) none. The top institution that Americans trust is our military, where 76% of Americans surveyed trust the military either a great deal or quite a lot. Since this Poll began in 1973, this percentage has been steadily increasing from the mid-fifties. So where does the church or organized religion fall in this Poll? The church came in fourth place, with only 48% of Americans having a great deal or a lot of trust in the church. The sad thing to note, though, is unlike our military, whose trust has been growing with Americans since 1973, American’s trust in the church has been steadily declining since then, when back in 1973 65% of Americans trusted in the church as their source for truth. So if more and more Americans are no longer going to the church to cultivate their worldview, how do people go about testing if their personal set of beliefs are worth living by? In his book ‘Why Jesus?’, Dr. Ravi Zacharias examines the mass marketing of spirituality in America and the seeming willingness of today’s American culture to trust indiscriminately in most anything the media presents to us. But with his examination of American culture, he presents four key elements each person should be considering when examining their belief system: the combinations of truth and relevance, and the combinations of reason and faith. I am I complete agreement with Ravi. And the Bible tells us the same thing. Our verse this week out of Hebrews squarely explains that the God of the Bible wants you to examine the faith you place in your belief system based on both the substance of it (its relevance in your life that has caused you to stand upon it) and the evidence behind it (those convincing proofs that cause you to go from mere belief to a conviction). 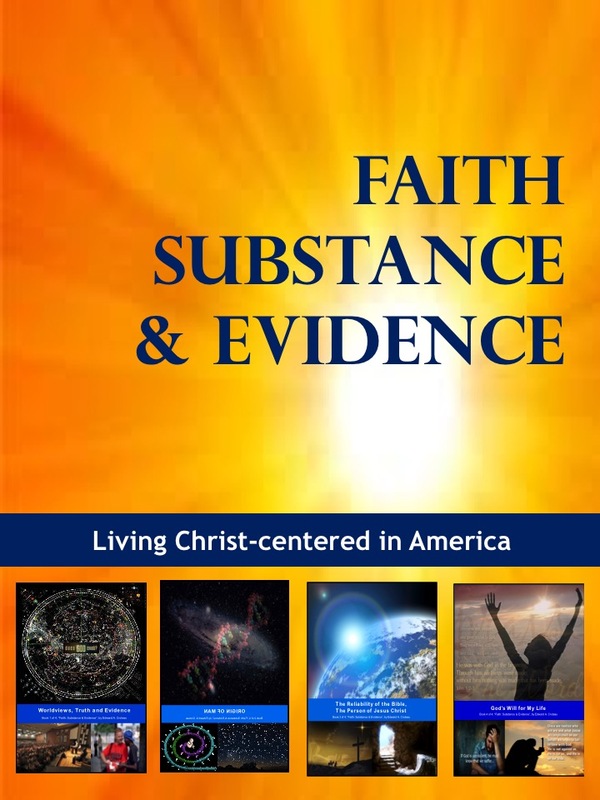 The Greek word in Hebrews 11:1 for ‘substance’ means ‘the foundation upon which I stand’, which can be based on objective facts or subjective opinion, and the word for ‘evidence’ means ‘the convincing proofs that lead to conviction (i.e., faith) in or on a matter or subject’. The question for each of us is, have we seriously examined our worldview to see if it is worth believing? 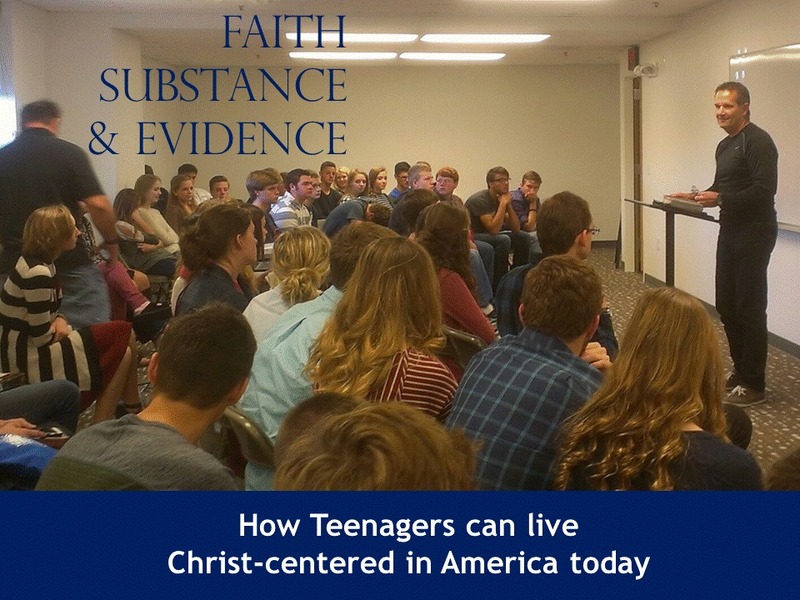 Are we are standing on a solid foundation of evidence that leads us to live with conviction, or are we, as Dr. Zacharias says, being swept along by the media and mass marketing into a worldview that we have almost unconsciously adopt without questioning it. This entry was posted in Christianity, Evidence, Truth, Worldviews and tagged Hebrews 11:1, Intelligent Design. Bookmark the permalink.